The unveiling of the 1916 Easter Rising Remembrance Wall on Sunday 3rd of April commemorated those who lost their lives in the rebellion 100 years ago. Taoiseach Enda Kenny attended and laid a wreath in honour of the dead. Almost 500 people died in the uprising, of which 268 were civilians caught up in the violence. 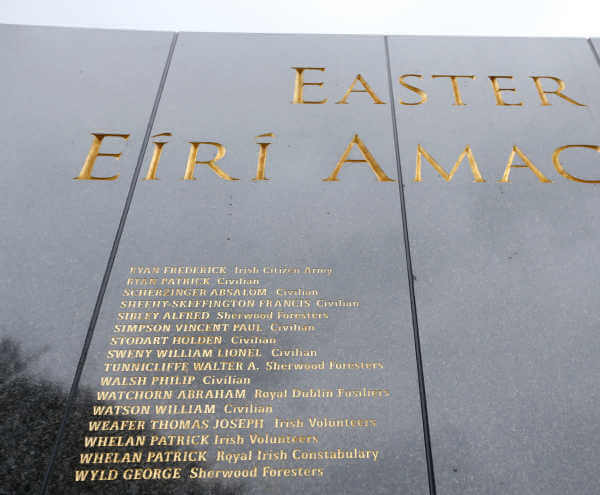 What was surprising to many was the misspelling of the Irish translation of Easter Rising 1916, Eírí amach na Cásca should have read Éirí amach na Cásca. 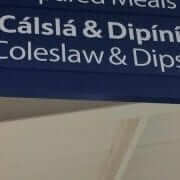 Conradh na Gaeilge said the mistake illustrates a laziness towards the Irish language, and can’t understand why those involved didn’t ensure that the Irish was as accurate and correct as the English spelling. There is a misplaced fada in the spelling of the word “Éirí ” on the Necrology Wall unveiled yesterday at Glasnevin cemetery. It will be corrected immediately. Eason Spelling Bee improves your spelling! What is the Irish Word for Computer?